The social forces of race, economics, and political power within cities coalesce to define and circumscribe the lives of America’s urban inhabitants in profound ways. Education was seen as a primary means of economic and social upward mobility for those migrating to America’s urban centers during the late nineteenth and twentieth centuries. Unfortunately, segments of the nation’s diverse urban populations were not a­fforded equal access to this valuable resource - race was a salient determinant of that. 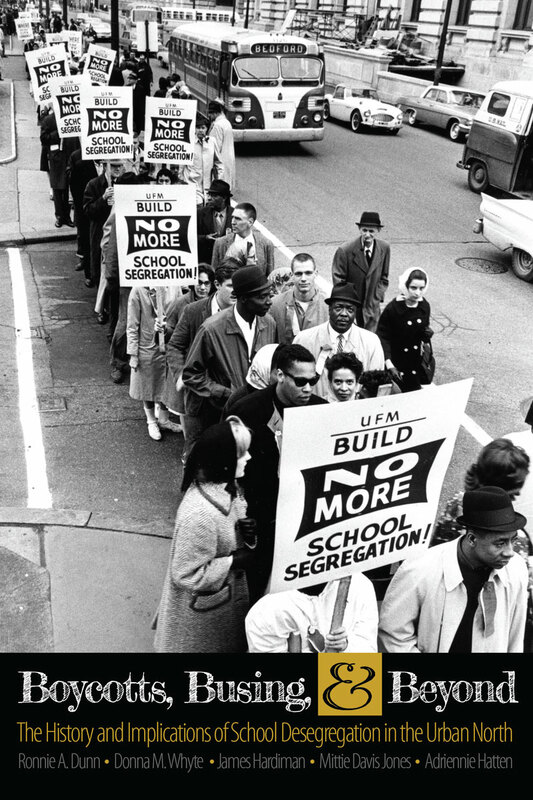 Boycotts, Busing, & Beyond: The History of Implications of School Desegregation in the Urban North uses Cleveland as a point of reference to analyze the racial, social, economic, and political factors that shaped the educational experiences of America’s diverse racial/ethnic groups in the urban North. examines the dominate philosophical doctrine of white supremacy and black inferiority and the attendant schools of thought on the intellectual ability of blacks. focuses on the industrialization of America’s urban centers as European immigrants and African American migrants poured into cities in the North and Midwest in search of a better life and the American dream. provides a historical overview of seminal court cases throughout the nation, which culminated in the Supreme Court’s landmark 1954 ruling in Brown v. Topeka Board of Education and subsequent school desegregation cases. examines the legal arguments and evidence presented in the Cleveland School desegregation case, Reed v. Rhodes (1973), and the Court’s ruling in the case. Looks at desegregation and busing and the associated white and black middleclass flight from the city’s public schools. It also examines academic performance data by race, as well as the effects of busing from the perspective of former students as reflected in personal interviews. examines the current state of public education in America and the ongoing challenges to educational equality in the twenty-first century. Ronnie A. Dunn, Ph.D., is an associate professor of urban studies at the Maxine Goodman-Levin College of Urban Aairs at Cleveland State University. He is an urban sociologist whose teaching and research interests include institutional and structural racism, issues related to minorities and the urban poor, and policing and criminal justice. five year higher education administration career at Cleveland State University in diversity and multicultural affairs. She holds a doctorate in social policy history from Case Western Reserve University, and currently teaches courses in African-American history, urban studies and comparative religion at CSU. James Hardiman, J.D., is a civil rights attorney with more than 40 years of experience. He was the lead attorney for the plaintiffs in the Cleveland School Desegregation case and helped desegregate other school districts throughout Ohio and the nation, including the San Francisco School District. He has served as the legal director of the ACLU of Ohio and the Cleveland NAACP. Mittie Davis Jones, Ph.D., is a recently retired associate professor and chair of urban studies at the Maxine Goodman Levin College of Urban Affairs at Cleveland State University. She is a political scientist, urban planner, and practitioner whose teaching and research interests include contemporary urban issues, public policy, housing policy, politics in the black community, and race relations.